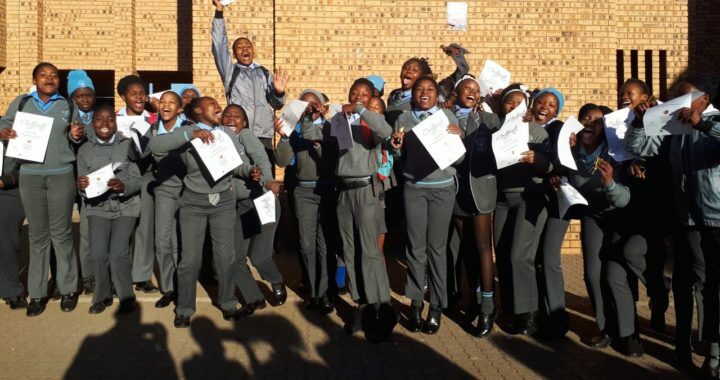 Due to generous funding by UPS, several high schools – including Immaculata Secondary In Diepkloof, Soweto, Ponelopele Oracle Secondary in Ivory Park, Fundulwazi Secondary in Sebokeng and Relebogile Secondary in Carltonville – were earmarked for the JA Be Entrepreneurial Programme, which will reach 280 students in total. Some programmes have been completed and some are underway. • How to draw up a business plan. Students learn the basics of everything they need to start their own business, from costing and finance to advertising, and competitive advantages to marketing and they are challenged to start their own businesses whilst still at high school. 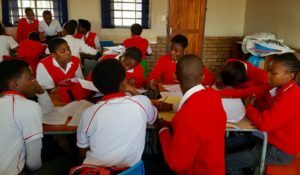 At Relebogile Secondary, learners engaged in lively debate as to whether being an entrepreneur means that you are a risk taker. Exploring product development lead to a challenge where students come up with products, based on exploring problems in their community that could be solved with a product or service. These kind of exercises not only got students working in teams but they also had to go out into their communities to see what issues existed. In the session on advertising and marketing the students present adverts to the group and receive feedback from the facilitator. When it came to the aspect of competitive advantage, the group were given various scenarios to analyse and then discuss. Splitting up into smaller teams to do the exercise and the sharing with the larger group facilitates the learning process and enhances the insights that the students gain. 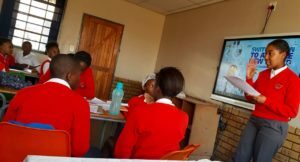 Towards the end of the programme, the learners got to play a game that helps them revise what they have learnt in the course. 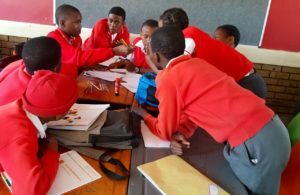 While playing, one student told Moeketsi that he had learnt there is a difference between competitive advantage and chasing profit only, a lesson that he is applying to his current situation, since he runs a catering company for fellow learners. 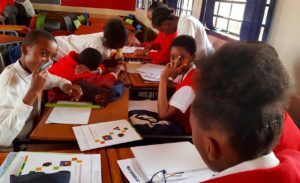 Moeketsi was impressed at how students took the initiative to shape their business plans without her having to prompt them. 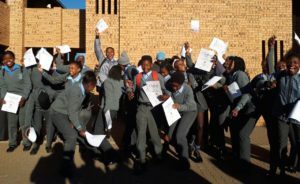 Despite the challenges of having to do the programme in addition to their other school work, the students were committed. 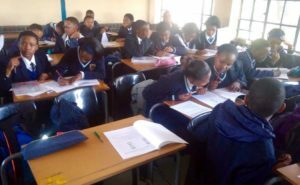 Even when a session had to be postponed due to exams, the students’ dedication was unflagging. In light of the news that are economy is in recession, equipping youth to shape entrepreneurial pathways becomes ever more important.